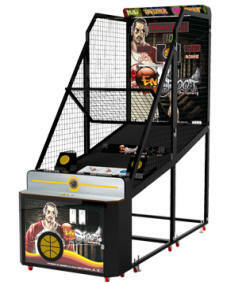 If you're looking to buy arcade basketball machines, you need to get them from a company with reliable quality service. At Birmingham Vending Company, we are focused on providing our customers with the best equipment for the best value. Whether you're a business looking to add an entertainment factor for your customers or a home buyer wanting something for your game room, we can do it all. 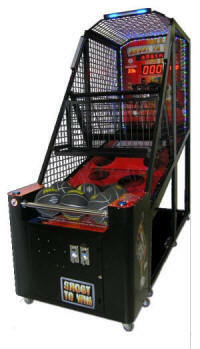 Birmingham Vending Company has provided high-quality coin-operated arcade games since 1931. We offer full service and sales to businesses and individuals across the United States. With over 85 years of experience, we have the knowledge and experience to recommend the game that best suits your individual needs. 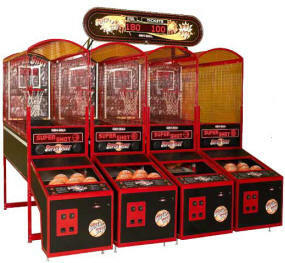 Our selection of arcade basketball machines is guaranteed to wow players and entertain them for any amount of time, whether it be for a few minutes or a few hours. 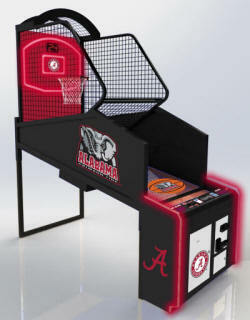 We are a wholesale distributor of arcade games, but we also offer revenue share opportunities if your business or home is in Alabama, Florida, or Georgia. 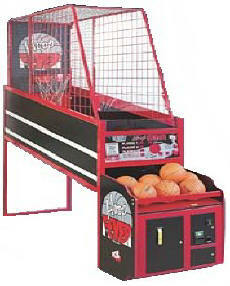 When you buy arcade basketball machines from Birmingham Vending Company, you know you're getting the best value possible. We take time to make sure you're happy with your selection, and we go out of our way to make you happy if you aren't. We seek to make all of our customers' experiences positive. 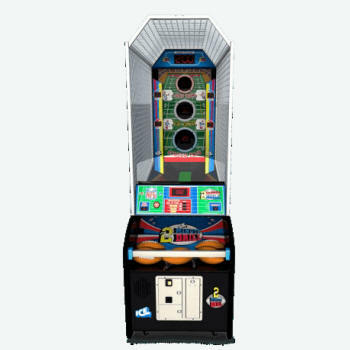 Birmingham Vending Company is unique in the field because in addition to selling quality arcade games, we also own and operate equipment. Because of this, we support the products we sell with experienced technicians who can consult with you if your arcade basketball machine experiences any issues. 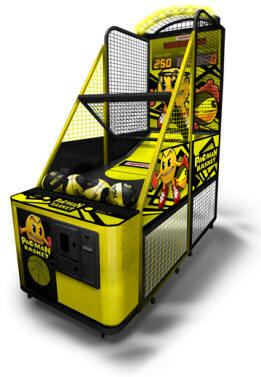 Whether you want to take your home game room to the next level or provide entertainment for your customers, buy arcade basketball machines from Birmingham Vending Company. You won't find another company who is willing to provide you with the service to keep you satisfied. For more information about our sales, call us at 205-324-7526. Test your football throwing skills on this interactive playfield! ONLY 79 inches tall, perfect for low ceilings! Hot new Basketball game! Great for FEC's, Home Arcades and Rental Companies. With its compact breakdown At The Buzzer makes it easy to fit through a standard size door. Looking to move this piece from location to location, our commercial grade material is equipped to be on the move. Intense one and two player hoops action! 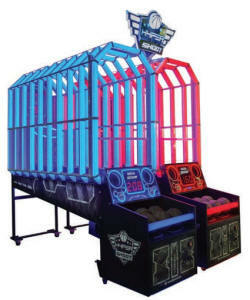 Linkable up to 8 machines for engaging player competition. Swing hoop. Foldable design for quick packing and transportation. 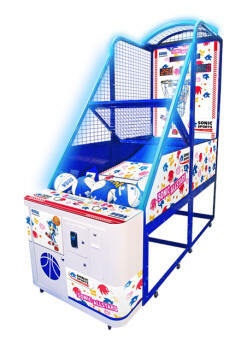 Get your game on with ice�s new interactive arcade basketball game. What�s better than a good old-fashioned game of Connect 4? How about adding a sporty, larger-than-life twist by playing with basketballs! Test your basketball skills and jump shot techniques with Double Shot Basketball! With a ticket redemption feature, this game is sure to be a slam dunk! Play against the clock or challenge a friend! X-tremely intense Arcade Basketball action! Links up to 8 machines for the highest levels of competition. Foldable design for quick packing and transportation. ONLY 89 inches tall, perfect for low ceilings! 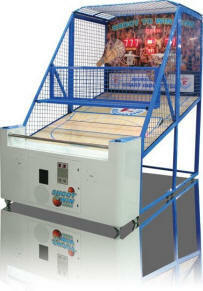 We went back to the basics to bring the industry the most durable and cost effective basketball game on the market. This game was built with the classic street location in mind. 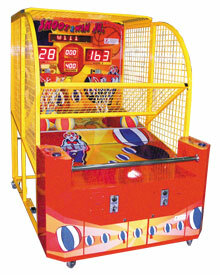 Unlike FULL COURT FEVER and STREET FEVER, HOOP FEVER utilizes a 9" basketball and a stationary basket. 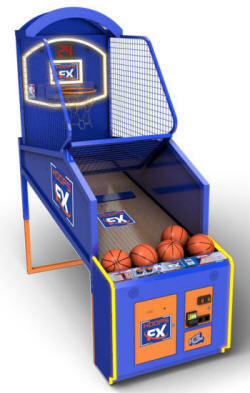 Unlike the other basketball games on the market there are NO MOVING PARTS, hence this is without a doubt the most maintenance free coin operated basketball game on the market. 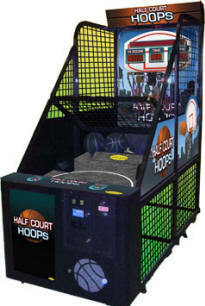 HOOP FEVER consist of an all STEEL and WOOD CONSTRUCTION. 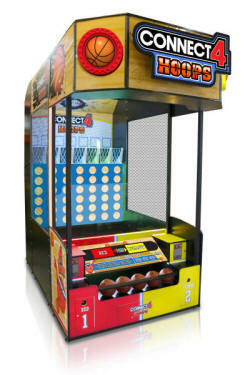 Hoop Fever offers 1 to 4 player game play, optional ticket dispenser and a "LINKING" option for "Head to Head" competition! Exciting Sports and Ball Toss ! 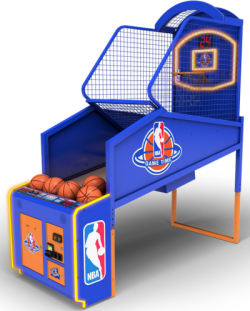 Skeeball's newest indoor basketball redemption game, Hot Shot's regulation sized basketball game will challenge players to shoot like the pros. The enormous size of the game cabinet will not be missed by your players and will become a focal point of your gameroom. 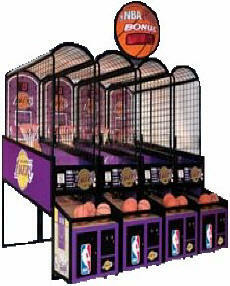 And, the more baskets you score, the more tickets you win! 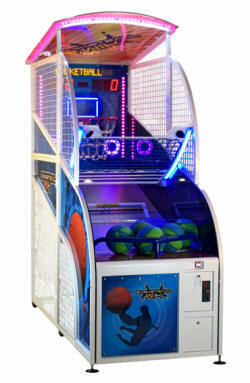 We�ve reinvented arcade basketball to offer an innovative and rewarding game experience that guests just can�t seem to walk past. Whether in attract or game play modes, the unique lighting effects of HYPERshoot are impossible for players to miss. The light tunnel follows the flight of the ball like a comet trail, accompanied by live sports commentary, making every throw fun and rewarding. Players are awarded extra points for scoring in quick succession, increasing the fun and competitive game play aspect. Players try to make as many baskets as possible during a pre-set time limit. The more points they score, the more tickets they win! As a bonus, baskets made during the final seconds are worth three points each. 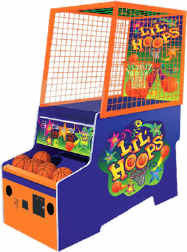 Whether they are competing against friends or aiming for their personal best, Lil� Hoops builds excitement and encourages repeat play. Mid-sized basketball game that replaces the every durable street game Hoop Fever. Redesigned by ICE right in Buffalo, New York. Our games can be found in family entertainment centers and homes in over 70 countries around the world. 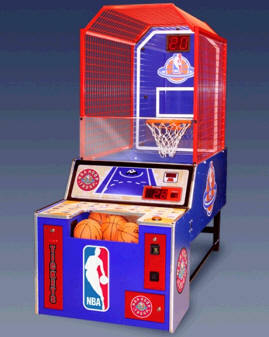 As the only official NBA licensed arcade game, NBA Hoops is a constant favorite among everyone. This alley game never fails to thrill its players. With a ticking time clock, players try not to lose their focus! Hoop Troop is an exciting and kid-friendly game that will be a staple piece for years to come. 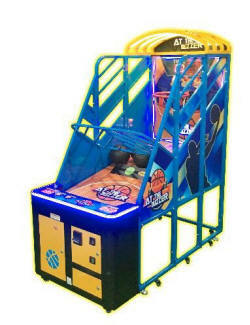 Featuring an intense LED kit with over 100 LED�s to enhance the already stunning graphics package, paired with �� acrylic backboard and a gleaming hard wood floor, Hoop Troop is a SLAM DUNK for any location! Smart Industries' extremely popular basketball game is back with an updated look! Link up to 16 games together for head-to-head competition. 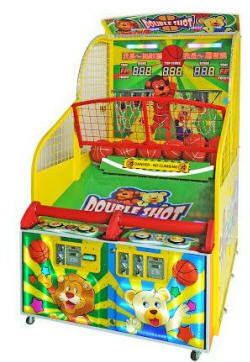 A new two hoop basketball game featuring, for the first time ever, the "Basket Defender". 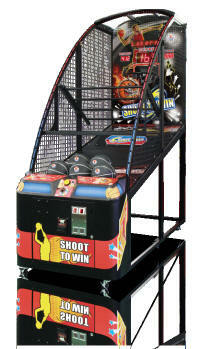 Shoot to Win Arena not only lets the players play each other, but at the same time the players compete against the machine. As the players shoot the basketball, the game defenders' moving hands move up and down to block the shots. Arena simulates realistic challenges seen on the real court. This exciting new addition to the Smart Shoot to Win lineup creates challenges, excitement and fun not seen before. Get to the Arena, and get into the game. 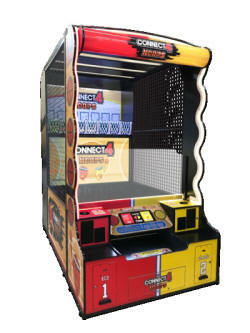 Smart Industries' extremely popular basketball game is now available in a kid-friendly size! 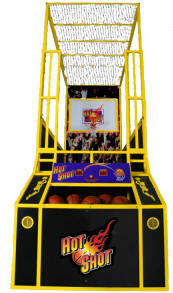 The Shoot to Win Junior is available as a single-hoop basketball game or 2-hoop game for head-to-head competition. The bright, fun clown theme will draw a crowd, and operators will love the durability and adjustable settings. 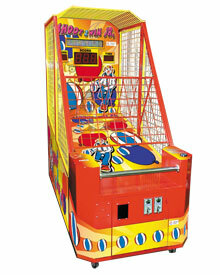 Slam 'N Jam , Many years of industry experience has gone into the making and design of this basketball machine. It has simple and easy to understand game play. It incorporates new features with fantastic sound effects, making it an exciting game to play. Excellent presentation and linkable up to 8 stations. An overhead link bonus display is also optional. 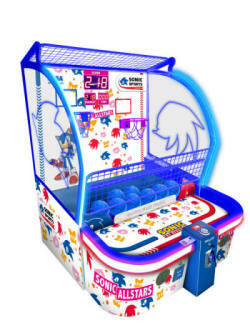 With a new colorful rebrand for 2016, Sonic Sports Basketball features everything that made the original such a success, plus even more winning features! 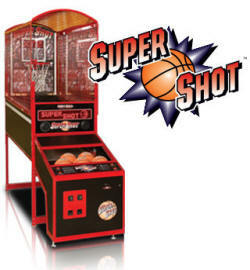 With enhanced backboard lighting and easy-to-read time and score displays, Super Shot is perfect for hours of competitive, social interaction. This staple in the arcade industry is equipped with free play button for loads of fun. Choose from a standard option with stationary backboard or pick the motion version for an even bigger challenge! 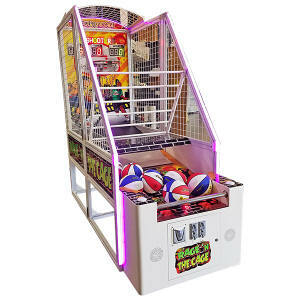 Skee-Ball has taken all of the outstanding features of the original Super Shot game and then added outstanding new elements! 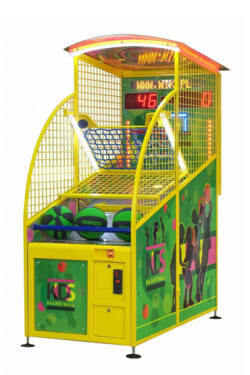 Brighter backboard lighting, additional time and score display behind the backboard, ability to link up to 12 games included FREE, and simplified backboard movement are just some of the new options that make this game even more spectacular than ever!